From an early age I knew I wanted to help people in some way when I grew up. I help people by looking after their oral health. Dentistry isn’t a job, it is a vocation. A good dentist has to have passion, drive and a burning desire to do the best they can. I feel I have these in abundance. I was brought up in Southport and after qualifying in 1999 from the Royal London Hospital Dental School I couldn’t wait to get back home to the Northwest. My first job was at another practice in Leyland where I completed my Vocational Training. 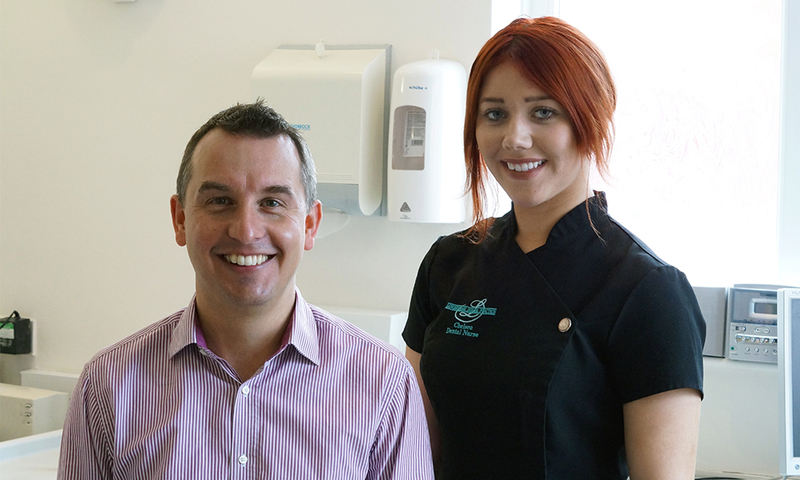 I then worked at a practice in Southport for several years before joining Lowerbank Dental Practice in 2008. Since qualifying as a dentist I have continued to further my education and regularly attend courses. In 2003 I gained a Graduate Diploma in Hypnosis Applied to Dentistry after a year long course at University College London. This has helped me immensely in the care of anxious patients, which is an area of dentistry I find particularly rewarding.Cosmetic dentistry is becoming more and more important. In order to keep up with current research and improve my skills, I have attended a year long course in restorative dentistry and a year long course in aesthetic dentistry as well as several courses on tooth bleaching. Home life is very important to me and I am fortunate to have a fantastic wife, Caroline who I met at school in Southport. We have two amazing young children Lauren and James who keep us on our toes. As a family we are always busy and are often off for weekends away to all parts of the country. When we do have time at home, I can often be found pottering in the garden or doing DIY. Football has always been a large part of my life and, although I’ve now hung up my boots, I still enjoy watching Liverpool on the television or going to The Merseyrail Community Stadium to cheer on Southport FC.